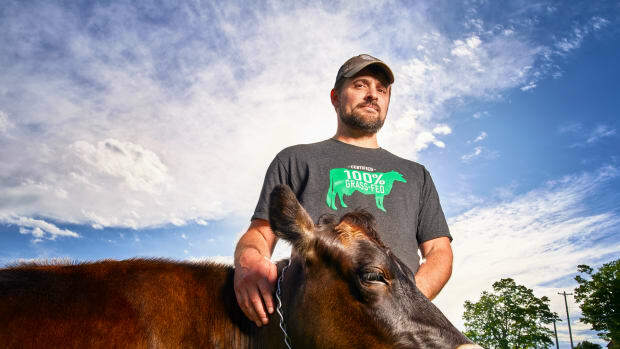 After nearly thirty years of bringing organic dairy from small family farms to the national marketplace – and becoming the first national brand to launch 100 percent grass-fed milk nationwide in 2011 – farmer-run cooperative Organic Valley is now the largest producer of 100 percent grass-fed dairy in the country. 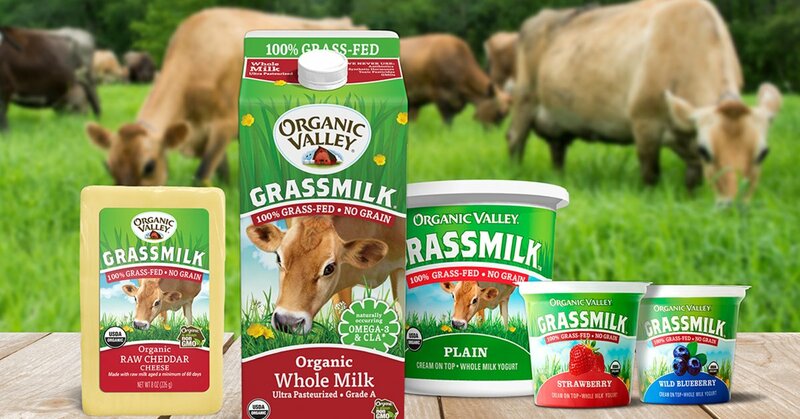 With 140 grass-fed dairy farms and several Grassmilk lines, including cream-on-top, as well as cheese and yogurt, Organic Valley has met the market demand for healthier, more sustainable dairy, all the while remaining true to its origins. 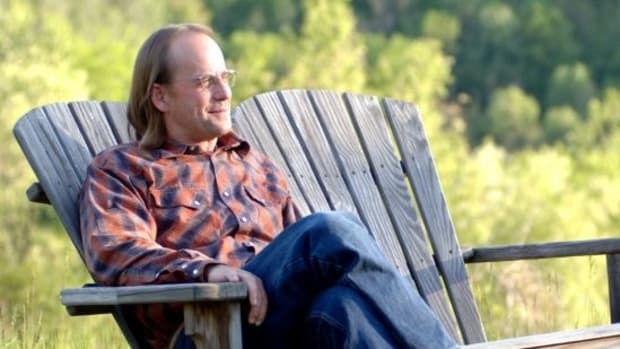 For CEIEIO and co-founder George Siemon, the key to creating and growing this line has been striking the balance between the cooperative’s founding mission of highlighting family farms and meeting the demands of an increasingly sustainably-minded marketplace. “Trying to help family farms have a living is our goal, but we realize that to do that, we have to partner with the consumer and what they want,” explains Siemon. And what the consumer wants, he says, is grass-fed dairy. Earlier this year, natural and organic market research company SPINS reported that sales of grass-fed yogurt and kefir have increased by more than 38 percent in the past year, despite a one percent drop in the total market for these dairy products. 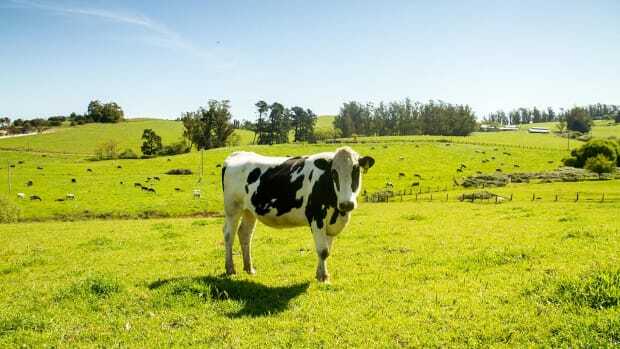 Given the proven health benefits of grass-fed dairy, which is richer in omega-3 fats, vitamin E, beta-carotene, and CLA than milk from grain-fed cows, this evolution in the demands of consumers is no surprise. 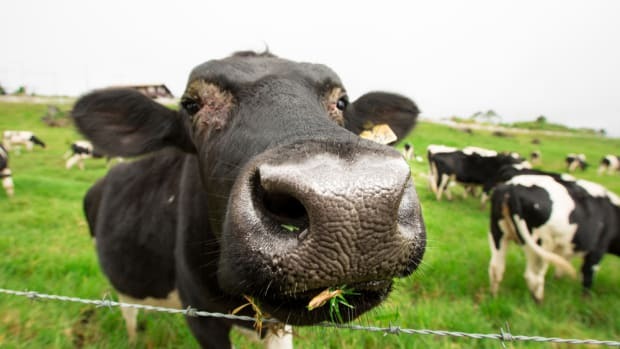 How Does Grass-Fed Work at Organic Valley? The process for bringing on a new organic grass-fed milk farmer at Organic Valley is similar to the way the cooperative has always brought on new organic farmers: first, Organic Valley makes initial contact with the farmer, often via an outreach meeting or an established contact who already works with the cooperative. Then, if the farmer is a good fit, they are “triggered,” and the cooperative makes a commitment to purchasing the farmer’s milk down the line. Up to three years can pass between when a farmer is triggered and taken on as a full-fledged member of the cooperative, as the farmer makes all of the modifications needed to meet the cooperative’s standards. 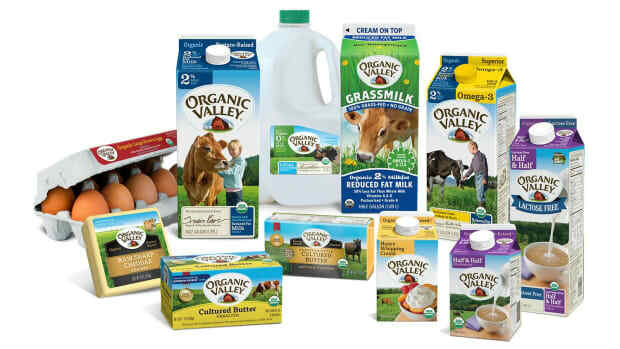 This can be a costly endeavor, which is why triggering is crucial: Organic Valley makes a commitment to purchase the farmer’s milk, even if demand is slumping by the time the farmer is ready. That’s what’s happening right now: while experts are optimistic about the dairy market in 2017, for the past two years, demand has been falling. In 2016, NPR estimated that dairy farmers were getting 40 percent less for their milk than in 2014. Organic Valley farmers and farms may all have to meet the same stringent standards, but they can also look very different from one another. Siemon notes that Organic Valley has a young Amish farmer who started out with just ten cows, while other farmers have herds of several hundred animals. “We try hard not to choose big over small. We choose more on integrity,” he explains, noting that he himself milked 20 cows for 20 years. 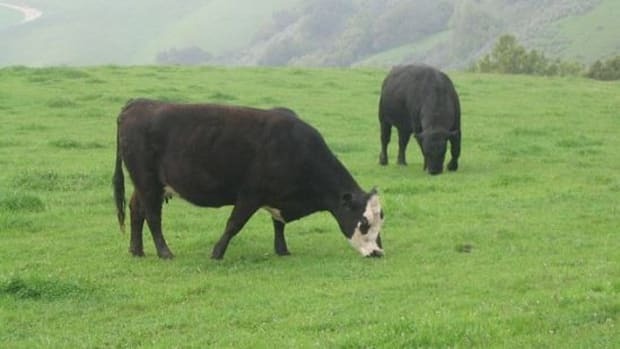 Many grass-fed farmers working with the cooperative are already organic farmers, thus shortening the time it takes for them to meet the new standards, but other farmers go about things in a different way. 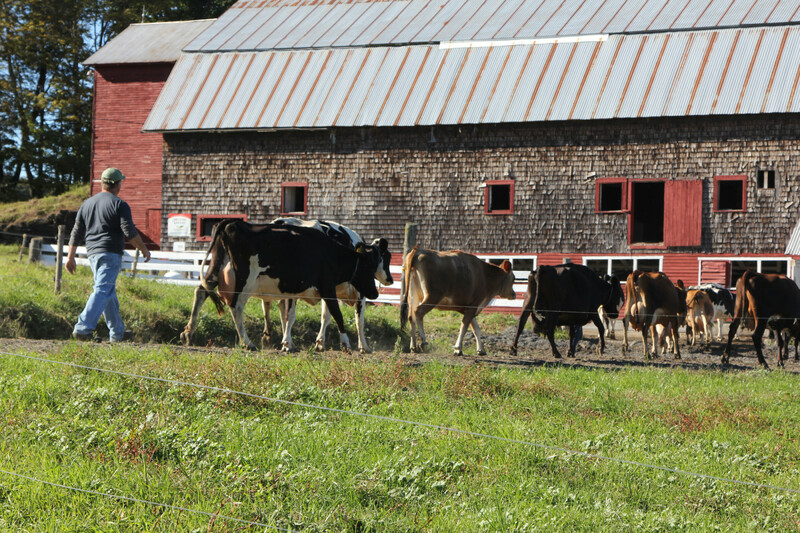 One such farmer is Brent Beidler, who owns a dairy farm with his wife Regina in Orange County, Vermont. “We started in with the idea that we wanted to be organic from the start,” explains Beidler, who notes that while it took three years to transition to organic, choosing grazing from the get-go was a more cost-effective way to begin farming without having to invest a lot in equipment. “Back when we started, conventional prices were unreliable, and the debt we had to shoulder to even start farming like most folks do would have been enormous,” says Beidler. 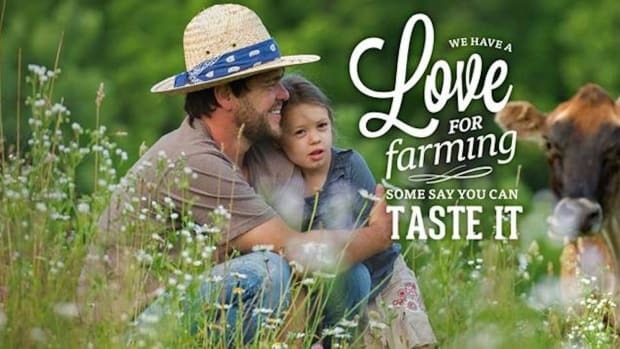 From there, the transition to organic was a no-brainer – as was choosing to join Organic Valley in 2000, becoming one of the first dozen Organic Valley farms from Vermont. “Here&apos;s this co-op that has similar values, and they&apos;re willing to say that a stable price is important,” he says. A herd of just 35 to 40 cows is the right size for the Beidlers: the couple does most of the work themselves, with a few students helping out a couple of afternoons a week. “Probably 90 percent of the work is done by me and Regina,” explains Beidler, whose daily routine involves getting up at four in the morning to start milking, followed by a few hours of chores before the afternoon milking cycle. While Beidler is a first generation farmer, other farmers came to grass-fed from a more industrial background. Ron Holter and his son Adam are the fifth and six generations of Holters on their Maryland dairy farm, but they are the first to approach it in any way other than confinement farming. This way of farming, he notes, was much more labor-intensive, due to a need to plant and harvest crops as well as feed the animals. The 315-acre operation required four to six full-time employees (not to mention tons of on-hand family members) and a workday lasting from 2:30 in the morning to 7:30 at night to get everything done – and even then, he says, he was constantly stressed out and running behind. It wasn’t until the late &apos;90s that Ron heard about grazing as a viable alternative. “There was very little grazing information at the time,” he notes, but by tapping into expert knowledge, he was able to transition, bit by bit, into this less labor-intensive way of farming. And he didn’t stop there. Since they had already stopped using herbicides, pesticides, and synthetic fertilizers in 2000, going organic seemed like a logical next step. However, because there was no market for organic in Maryland at the time, the farm only became fully certified in 2005, when Organic Valley came to the state. Today, the 110 Jerseys aren’t the only ones who appreciate the new way of doing things. A typical day on the farm now starts around three o’clock in the morning and lasts until 5:30 in the evening, including time for naps. Holter not only gets to spend more time with his children; he has also cut his team to two full-time workers. “Our labor needs have been cut in half, and then some, because we don&apos;t work near as hard now as back when we were in confinement,” he says. His relationship with his livestock has changed as well. 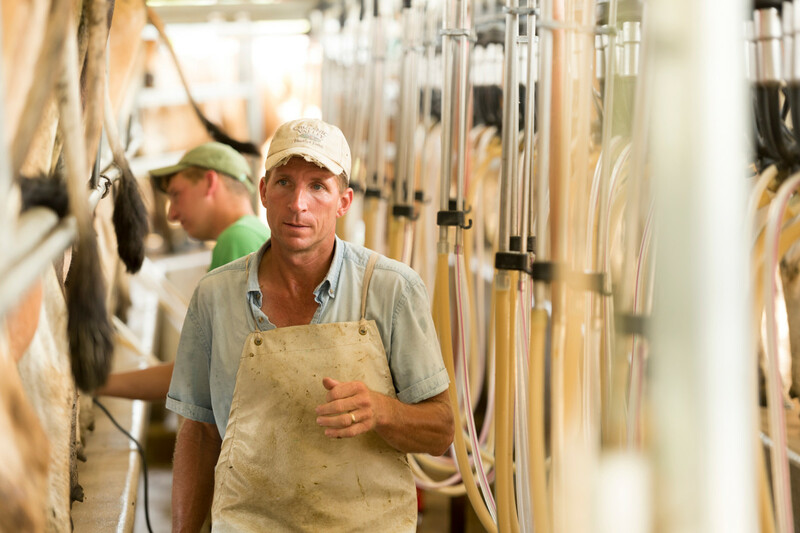 Currently, grass-fed dairy makes up about 10 percent of the cooperative&apos;s membership, and its Grassmilk line is successful not only in organic and natural stores but on the mass market as well. 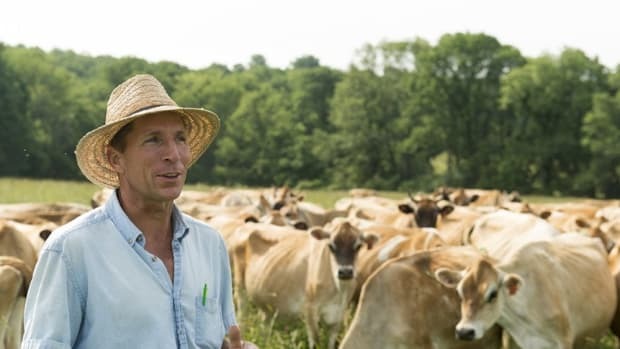 The cooperative hopes to launch a grass-fed butter as volume grows, and from holding Grass Up events, designed to educate legislators, corporate leaders, and scientists about the benefits of grass-based livestock agriculture and its positive effects on climate change, to encouraging soil remineralization amongst its farmers via subsidies, Organic Valley continues to expand and improve the grass-fed portion of its production. But despite the success of the program, Organic Valley doesn’t intend to convert all of its farmland to grass-fed. “Not every farmer we have will want to go grass-fed," explains Siemon, who notes that many Organic Valley farmers grow their own grain and are happy to continue to do so.